The BAR4018P-Bre is a truly versatile machine. 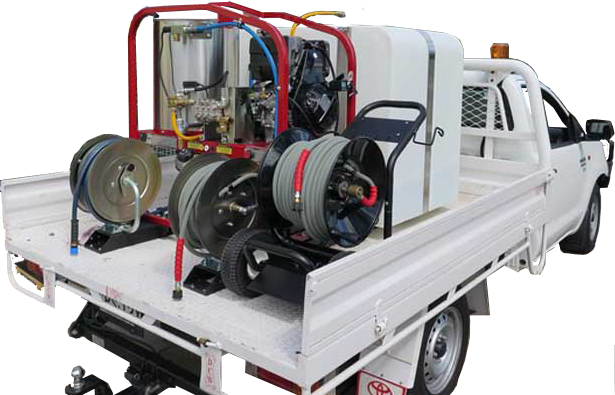 It can be trailer or truck mounted to work for you, right where you need it. 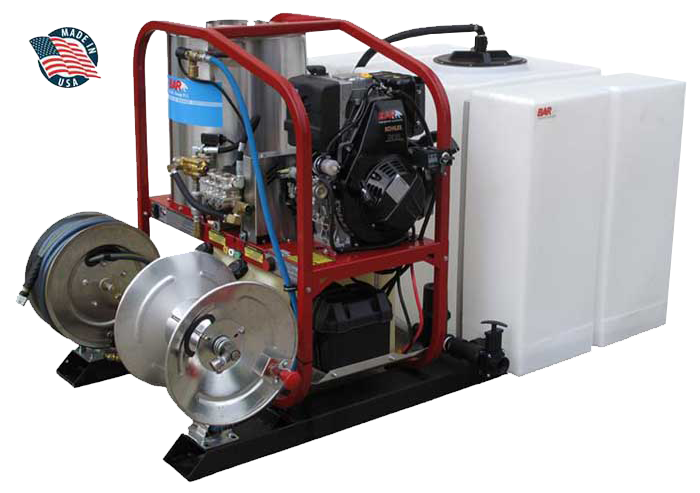 An efficient industrial duty electric-start Vanguard engine provides power to the pump and 12V diesel burner so no electrical supply is needed. The high capacity, 1/2″ SCH 80 coil is stainless steel wrapped and heats the water up to 250°F. You will experience extended run times with the large 30 Litre gas and diesel tanks*. Industrial rated, belt-drive triplex plunger pumps for superior performance and longevity. 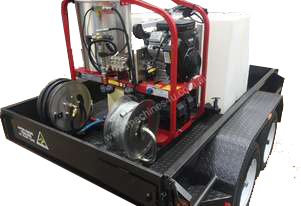 The unloader is remote mounted allowing for easy maintenance and has an external bypass loop to keep the pump running cool. Burst disc and pressure relief valve for operator safety. A full cage frame with lifting eye protects your machine from damage. Requires Group 24 550 CCA battery, not included.